Finally! A resource that guides a congregation from settling for survival to embracing joyful service. 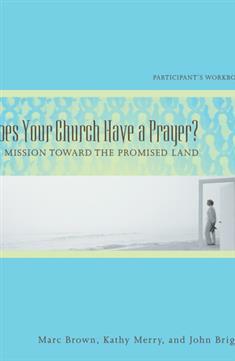 This Participant's Workbook consists of 6 weeks of Bible studies that lead to adopting a collaborative 24-month congregational action plan. Each week's study offers a prayer to open the time together, questions to encourage scriptural reflection, and questions to facilitate feedback as the congregation makes intentional decisions about its mission and ministry. A Leader's Guide is also available.